Click on it to see a bigger image. Phew, Men..!! 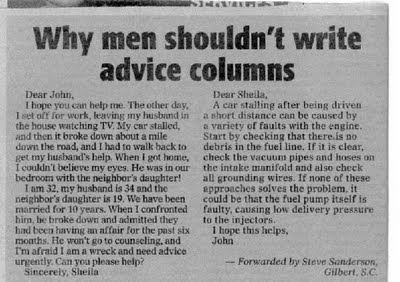 Ha ha ha that was some advice :). Hilarious indeed !